With Indian summer days hopefully behind us, it’s about dang time we embraced#sweaterweather with open arms. When it comes down to fashion rules, well, we’re not much of a follower. Who’s to say socks with heels can’t be done with poise or that white can’t be worn beyond Labor Day weekend? Our thoughts exactly. Keep scrolling for 18 fall styling tips, according to all the top style influencers, that will make you rethink how you get dressed in the morning. 1. Not Your Grammie’s Pearls: Pearl-embellished clothing and accessories are currently taking the city pavement by storm. Peep how blogger babe Sai De Silva offsets her pearl-strewn jeans (they’re Zara, FYI) with a Gucci belt and a non-stuffy boardroom blazer. 2. 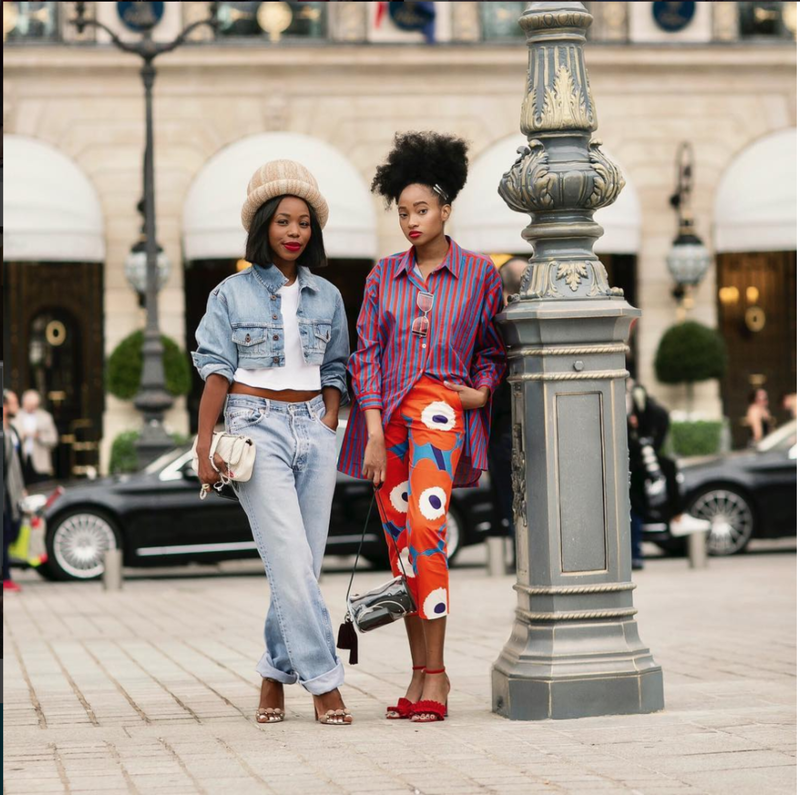 Introducing the New Canadian Tuxedo: It takes some style know-how, but when done right, denim-on-denim can be mastered with ease. Werk it on the streets with a cropped denim jacket, rolled-up boyfriend jeans, and a knit snow cap (fresh off Marc Jacob’s fall ’17 runway, natch) on deck for FROW-worthy slayage. 3. The MVP Transitional Summer Slip: You know that summer slip you already relegated to the back of your closet? It’s back for round two. This go-around, couple it with a thin layering turtleneck and suede slouch boots for ALL the saucy date night vibes. 4. Pantsuit Nation: Show ’em who’s boss just like HBIC Jacey Duprie with a power red pantsuit that commands attention on the streets. We’re even partial to how she’s cuffed her trousers. 5. Fur Accents for Days: What? 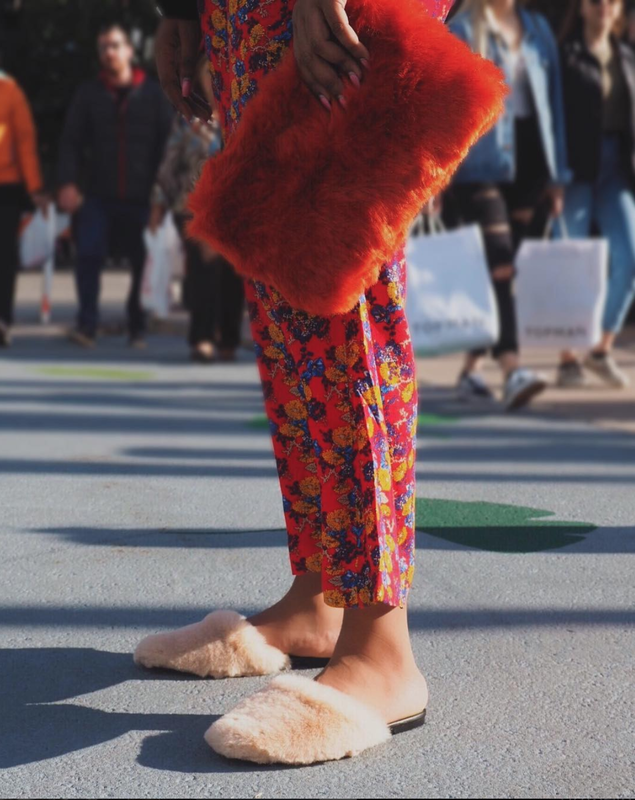 You don’t rock furry slippers and a fiery orange clutch during your morning commute? This babe does. 6. Sock Game Strong: Don’t hate on the sock game (previously a fashion no-no) until you’ve tried it. That’s all we’re saying. 7. Fanny Pack Takeover: Tamu McPherson’s killing it in the outfit game with her striped jumpsuit and Gucci belt bag. While man-repelling fannies aren’t completely new to the sartorial scene, we’ll tell you this: You won’t want to be armed without one this fall. 8. Cool Girl Uniform 2.0: That new new is coming — and it’s coming fresh. Take a note from Candice Lake: Nothing says fall traditions like an embroidery tee and a glen plaid blazer draped across your shoulders for a hint of je ne sais quoi.